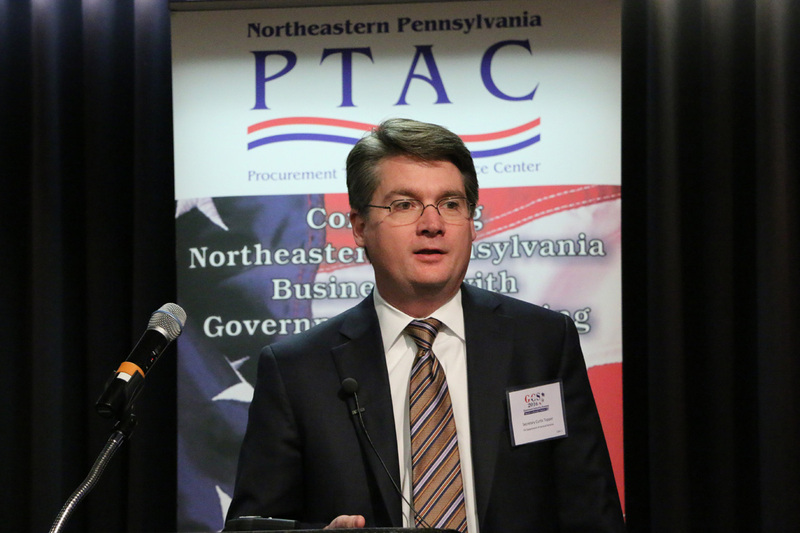 The Northeastern Pennsylvania Alliance (NEPA) held its annual Procurement Technical Assistance Center (PTAC) 2016 Government Contracting Showcase on June 16, 2016 at the Woodlands Inn & Resort, in Wilkes-Barre, and was attended by regional legislative representatives, Commonwealth staff, contract officers and buyers, and small businesses. The half day event was well attended with 20 exhibitors including representatives from economic development, government agencies, and private businesses. The Showcase attracted over 100 attendees and was deemed to be outstanding and beneficial by those in attendance. Jeffrey Box, NEPA President & CEO, opened the event by stating, “There are significant opportunities for local companies to enter into contracting with federal, state, and local government agencies.” Mr. Box quantified this by saying, “Over $84 million in revenue within the NEPA seven-county coverage area was reported by NEPA PTAC clients last fiscal year. We cannot do what we do without legislative support.” He further stated the NEPA Alliance is proud to support many of the businesses in the room. Pennsylvania Department of General Services Secretary Curt Topper was the luncheon keynote speaker. He explained how the Commonwealth does business and its impacts on our communities. “We are working to build a more inclusive economy in Pennsylvania. A working government is worthy of the citizens’ trust.” Secretary Topper explained that 29 state agencies purchase $4.5 to $5 billion a year in products and services. In addition, the NEPA Alliance PTAC presented the Client of the Year Award for 2016 to Ron Carter, President & CEO of Performance Biomedical LLC. For more on NEPA Alliance PTAC services contact Karen Ostroskie, Frank Migneco or Paula Terpak at 866-758-1929.